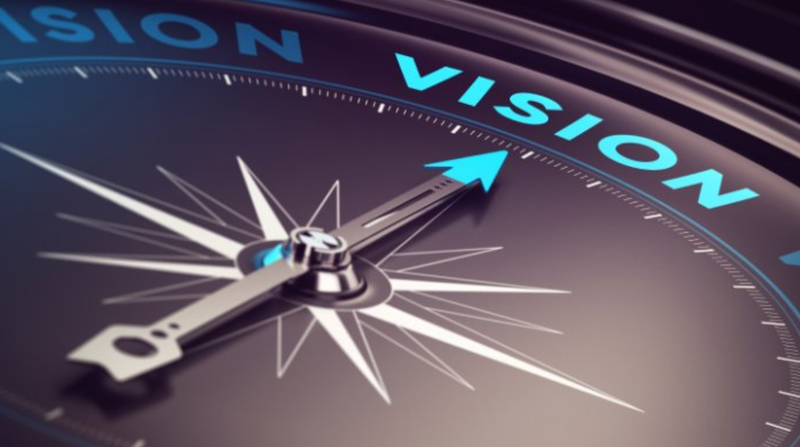 vision | Go, Leader, Grow! On Friday, November 3, John Sampson (CEO of the NE Indiana Regional Partnership) will be the inaugural speaker at First Fridays hosted by Indiana Wesleyan University. In case you are not familiar with the Partnership, read the following excerpt and visit them at http://neindiana.com. Increasing business investment. That’s what we’re all about. We’re here to support your business, build our community, and market our region to the world. How do we do all of that? Together. Collaboration is Northeast Indiana’s secret sauce and the key to building a globally competitive economy in our 11-county region. Our mission is to build, market, and sell Northeast Indiana to increase business investment. Our region is made up of Adams, Allen, DeKalb, Huntington, Kosciusko, LaGrange, Noble, Steuben, Wabash, Wells, and Whitley counties. Click on the link below to RSVP (required for attendance – seating is limited). Plan to be there. As I wrote earlier, one of my leaders invited me to lunch with Mayor Tom Henry of my hometown, Fort Wayne, Indiana. We just returned from this private luncheon. Mayor Henry is a genuine leader with a gracious spirit and a keen vision for our city. His strategic plan for growth has seen our downtown begin to be revitalized. Our city is experiencing growth in new businesses which creates jobs. His plans have created wonderful family attractions. His plans for the future will do even more of this. He openly shared his vision for more growth and expansion – and exciting days are ahead for Fort Wayne. At the end of our meeting, we gave him our gifts and he also shared gifts with us. He was honestly thrilled to receive the books. We were honored by his gifts. Mayor Henry’s family has been a part of our city’s history for over 100 years now. You can easily perceive his passion for Fort Wayne. While the Mayor is no longer a young man, he was energized when talking about the future. Investors are seeking Fort Wayne out – great things are in store for us! Our Mayor is a busy man. He is the leader of the 2nd largest city in the state of Indiana. But he took the time today to have a relaxed lunch with the two of us. There were no politics at play. No trying to sell us something. He genuinely loves what he does and loves to hear how his vision has positively impacted our city. May we all embody those attributes as we seek to influence others to success. 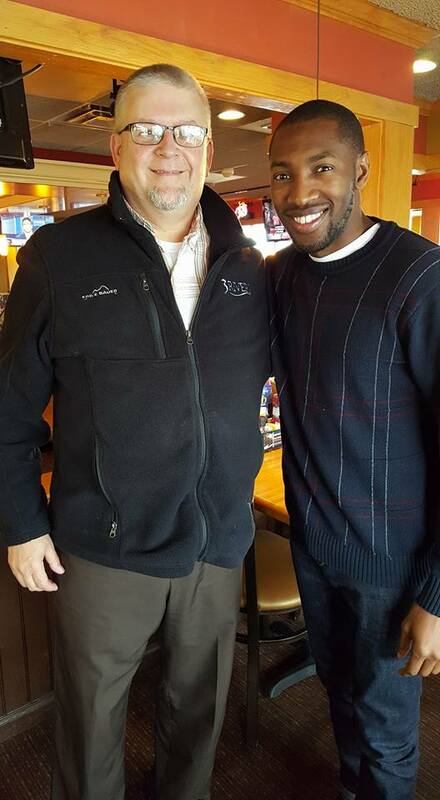 Jamal and I met at a mentoring program hosted by IPFW (Indiana University/Purdue University at Fort Wayne) where business leaders (Jamal and I) spend time with IPFW business students to help them connect, network, and create a context for their current learning journey. Jamal began Desiar in 2011 after early adventures into entrepreneurship. He has designed clothing for a magazine in Florida before he began to focus on eye-wear. As the idea for Desiar matured in his mind, the designs moved from “glitter” to working with mediums not normally seen in glasses – wood. So how did Jamal create and develop Desiar? He used his resources to figure out how to start up this growing business. He worked for an import/export company here in Fort Wayne and learned valuable lessons that he has directly applied to Desiar. His work/mentoring experience here helped lay the foundation for Jamal. I asked him how he came to find the overseas factory. “The internet.” Jamal is genuinely curious. He is not afraid to research and learn. In fact, that is a primary characteristic of this young business man. If he didn’t know something, he jumped in and found the answer. Not knowing did not create obstacles that stopped him. He pushed and climbed and questioned and researched. He found his answers, and he moved forward. He didn’t stop there. As he developed his eye-wear line, Jamal would go to concerts and get back stage to meet the artists (if possible) to present his product and simply ask if they would wear them. He asked for the business. But he did it intentionally. He would approach the artist and say, “I design glasses. If I gave you this pair, would you wear them?” They did. His “fashion-forward” eye-wear had to be in the hands of individuals who were already setting fashion trends – people that other people would and do take notice. Smart, smart moves. Those first glasses were made by Jamal himself. But he soon he realized that he could not keep up if he wanted to broaden the scale of his business. He knew he had to go overseas to bring scale to his production. So how did he find a production company on the other side of the world? “The internet,” Jamal answered. He did his research. He spent nights reading, talking with manufacturers, making connections. 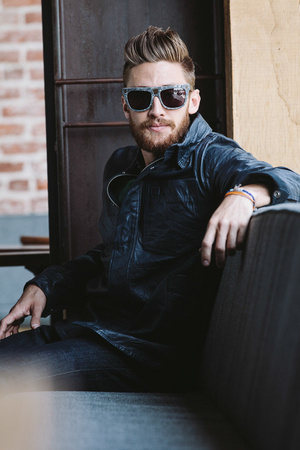 His fashion line developed into glasses made of wood and other mediums. His business grew. 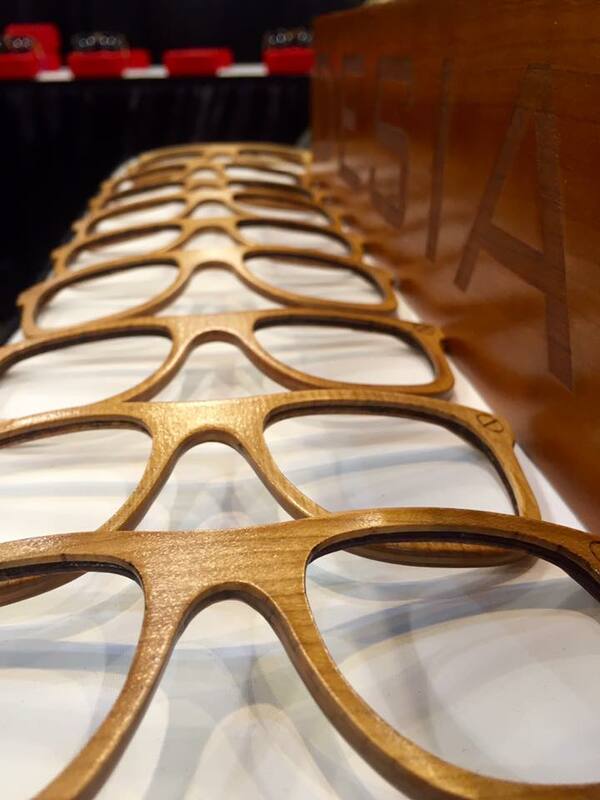 But now, he is about to launch (first of November) a new line of eye-wear made solely of wood. And they are beautiful! So did Jamal look overseas for a manufacturer to make these all-wood glasses? No. These are made down the road (from where we ate) in a small town. Who makes them? A furniture maker. Only 2%-3% of eye-wear is made in the US. And to Jamal’s knowledge, none are made in Indiana. But he just changed that. As he met with potential investors, he explained that his glasses would be “made in Indiana.” They didn’t think that marketing line was a good idea. Who would buy glasses from Indiana? It’s a state of farms, race cars, auto manufacturing, and Amish. 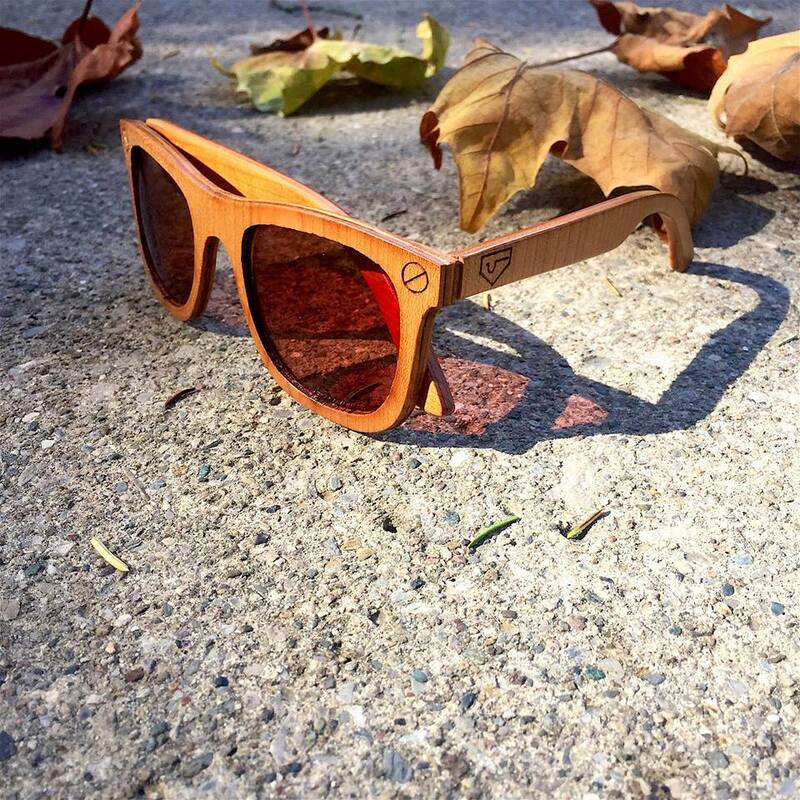 Wooden glasses exist in a different atmosphere, right? Made in Indiana? Jamal is “pretty pumped by that.” He’s proud of this. “By fate and a blessing”, he was called on by a company to help them. In doing research for them, Jamal learned about the kind of machinery that HE needed to produce his all wood glasses. Through this experience, Jamal shared his vision and his designs and this company was able to produce the necessary machinery needed to manufacture the new Desiar line. He then found a furniture company who is now producing his wooden eye-wear. Collaborate. Partner with. Talked to. Learned from. This is Jamal’s path to success. Just 15 minutes into our interview, I heard these words over and over again. Sure, Jamal is incredibly gifted in the creative process. He has a very strong vision for his business. He is passionate about it. But he knows that HE must work with others. HE must find partners to help him fulfill his company’s vision. HE must do the hard work of research to find the answers to his questions. Jamal explained to me how the wooden glasses are made. He knows the process. He knows how the wood has to be manipulated to form the correct bend. He knows what kind of machines are needed to do this. He is intimately aware of his products processes. He knows his business. Jamal is currently in China to meet his overseas partners. Knowing Jamal, he will come back with more ideas, improved processes, and new connections. It’s not a sight-seeing trip. Jamal will turn it into gold. I asked Jamal if he ever wakes up in the morning to ask himself, “how did this become my life?” He reflected on his China trip. “The world has become smaller. I find it easier to make connections.” He uses those connections to build his business. Did Jamal begin Desiar as his sole source of income? No. He bussed tables at a restaurant. He worked a year and a half with one of his mentors who runs an import/export business. He got a “real world perspective” from this. And all from our town, Fort Wayne, Indiana. Jamal has mentors from all over. Import/Export. Online music equipment sales/service. He’s learned why they are great at what they do. He’s captured why they do what they do. His desire is to have Desiar known just at Sweetwater is known in the music business. Jamal listens, absorbs, and applies. What keeps him up at night? Not much. He’s not worried about tomorrow. Jamal shared with me a question he asked himself – “what are you doing today that made the business better than yesterday?” It’s about positive movement forward. It’s about not settling. His agenda daily must be involved in the things that truly help his business to grow. He sets goals with his team. But it’s not about the goals. It’s about results. What did they learn from their results? Did they miss the goal? Why? What do they need to do to hit the results the next time. He explained it’s good to have a dream/vision. But you have to write it down. Look at it. Talk about it. Bring life to it. Always learning. Always willing to be stretched. Always being positive. This young business man is grounded. Solid family. Solid beliefs. Confident in his abilities. Faith. 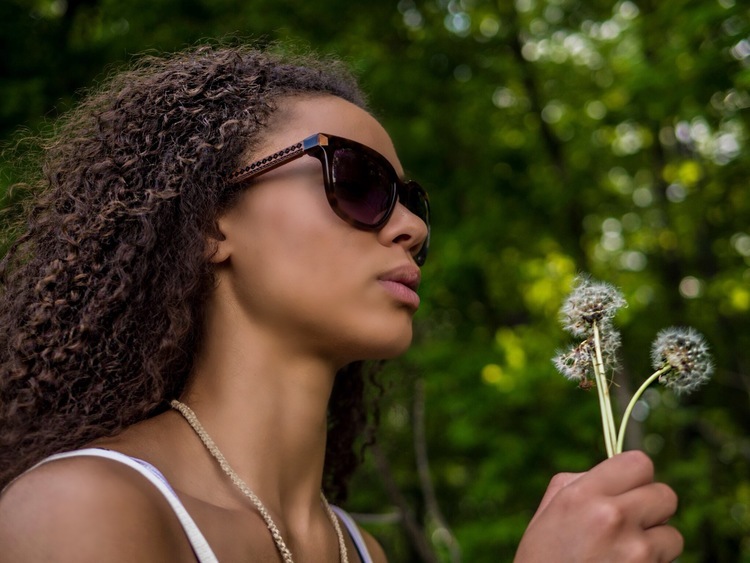 A vision beyond eye-wear. This is Jamal Robinson. This is Desiar. For a team to succeed every member must know and understand their specific role so that you are united in working to achieve the team’s goal. It’s the bigger picture that drives your actions. While this is broadly understood in most businesses, it is usually approached in a purely practical way by determining SMART objectives or establishing clear KPIs. And there is nothing wrong with that, but for best performance it lacks a vital ingredient: emotion. Definition: noun – a strong and barely controllable emotion. “Passion is infectious…and the catalyst leaders use to excite others. Passion is what others view as strength and confidence as they’re led down a path full of obstacles and danger. Passion makes you brave (some might say stupid)…Passion is what helps you up after a fall. The role of leader doesn’t come easy because you have passion. At first, many people will be skeptical, even afraid, to go along with you. Leaders don’t go where everyone else has already been; they go where no one has gone before and that is what makes them leaders. Yes, that old English preacher said that. He would ride around the countryside on horseback to preach at different churches. And people did go to hear this man preach. His preaching changed lives. It created a movement. John Wesley was on fire. Leaders are passionate. They are passionate about their business, about their products/services, about the differentiation, about their staff. You can tell when you’re around a passionate leader, can’t you? Even if you don’t know much about their expertise, you can get caught up in their enthusiasm. They are infectious. Have you ever been around a person who is in charge and it is clear that they are not passionate? Can you image the organization that they lead? I have a feeling that few others are showing any kind of passion either. Status quo probably rules the day. “We’ve always done it this way” is their motto. This type of leader and organization aren’t necessarily like Eeyore, Winnie the Pooh’s sad friend. But they aren’t Tigger either. They just are. Passion moves you to change. Passion is showing up and continuing to show up. “But I’ve been at this same job for a long time and I’m not getting anywhere. They (corporate) don’t recognize me and my skills,” you say. What to do, what to do? Passion says “I will not surrender”. Don’t get caught up in a pity party. Nobody wants to attend that. And you’ll go no where focusing on poor-pitiful-me. “Never complain about your problems because 95% of the people don’t care and the other 5% are glad they happened to you” (Lechter & Reid in Three Feet from Gold). Hopefully, not all of that is true. But the point is this: refuse to surrender your dream of the next level. 1. Keep your dreams and goals in front of you all the time. Write them down. Do the things that will get you to your goals. 2. Be enthusiastic. Facing a tough challenge? Jump in and tackle it. Learn from it. Use your resources. Master it. As a leader, others will see your passion as a beacon and will follow. They will! 3. Don’t seek recognition if you’re not in the position you desire. Learn your profession. This will lead to mastery and will build your confidence. You can approach your business, your department, your branch, your personal life with the same-ol’-same-ol’ attitude. You might grow new business. You might see success. You might achieve. But there’s a good chance that you won’t. Or you can set yourself on fire. Know, really know, your business. Look for opportunities for your business to grow whether you are in the office or not. Throw yourself into the development of your staff. Be a cheerleader for them. Love every chance to talk with potential customers about your business. Be enthusiastic. 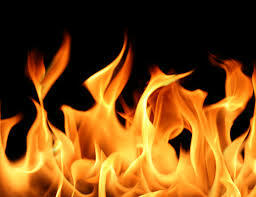 People will come to watch you burn – and they just might catch on fire, too! A leader who has passion is driven forward from the energy it produces. When it comes to leading yourself and others, passion and energy are essential. Donald Trump said, “Without passion, you don’t have energy; without energy, you have nothing.” Leaders who have passion also bring energy into what they do. 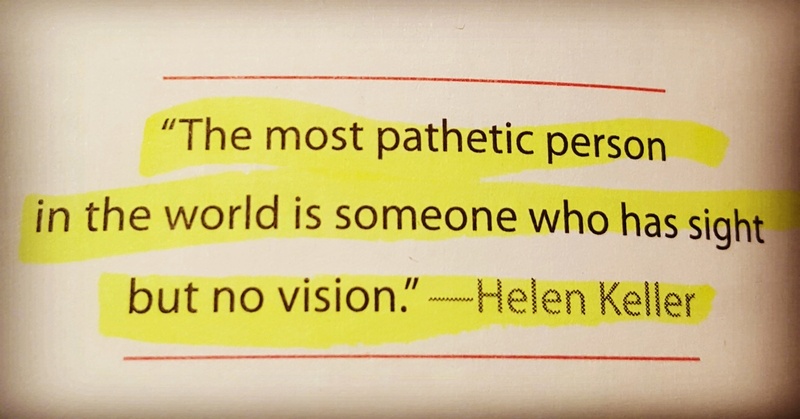 If a leader wants to see their vision and goals being accomplished, then the leader’s passion is the fuel that drives the production and results of the vision. The vision of the organization or team should be frequently and passionately communicated to others. We have all seen or been around a passionate leader. I personally know after I’m around a passionate leader their energy and passion rubs off on me. This causes me to feel more energized and motivated. A person’s passions can ignite other people’s passions and bring energy into their lives. John Wesley said, “When you set yourself on fire, people love to come and see you burn.” This is what happens when a leader has passion. The leader starts gaining more with others, and people want to be a part of what’s going on. If you want to raise your influence, then you need to be a passionate leader. What gives you so much satisfaction or/such a buzz that you would do it for free? What role does passion play in your working life?